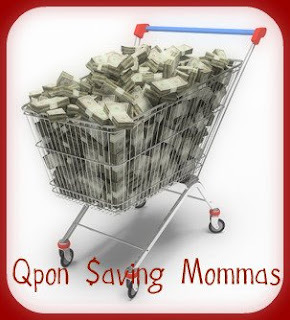 This is a site to show you how to cut your budget and maximize your savings by using coupons. Some say a 50¢ coupon is hardly worth cutting. I'll make you change your mind about that coupon. Sara Lee Bread $1.18 -$2 wyb 1lb sara lee meat, coupon near most delis. Buy 3 participating products get 1 free Clorox bleach. Clorox bleach x2=$3.16 -$1.50/2 Q= $1.66 for 3 bottles. Free Comic Book day !! Got back $5 RR and $5RR I now have a total of $13 in RR to use up. 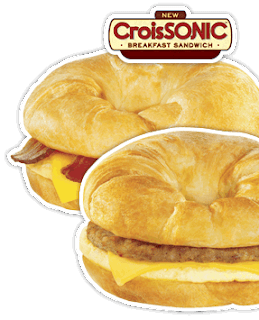 Enter your email address here http://www.sonicdrivein.com/prmtns/2009/croissonic/index.jsp and you will get a coupon good for a free breakfast croissant from Sonic with any drink purchase. Coupon expires 10 days from when you sign up and get it. You can get a FREE Pasta bread bowl today only until 2pm from Domino's. Thanks to common sense with money for this tip. Choose the "Buy Now" option. Thanks to A Cheap Chick's Ray Of Sunshine for this tip. The sales for grocery stores are pretty yucky this week. Aquafina bottled water $2.50 -$1=$1.50 tearpad coupon came from HyVee a while back. Sara Lee Breads $1.99 -$2 off Sara lee bread when you buy 1lb sara lee meat from deli. Coupon from hyVee's deli counter. =Free Bread. Here's a sweet coffee deal for you !! After your $15 gift card it would be $14.95 + shipping. Here are the deals I could find for this week. 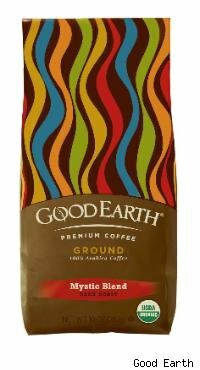 Use $0.75-off-1 coupon (from 3/22 SmartSource) - EXPIRES 4/21! Total Price: $4.48 for the moisturizer and powder - an 84% savings! Or of you have the $5 tearpad coupon =$11.48 and Submit for $10 Rebate Total Out of Pocket $1.48!!!! You can use $3/2 Multivitamins = Free & $.02 Overage and $1.51 Money Maker when you submit the rebate. Deodorant clearance majorly at Bakers in Bellevue. They had all kinds of them. Here is what i remember... These clearanced items are in bins and shelves located by the bathroom. My MIL went to HyVee last night so i asked if i could tag along. I had a $20 gift card i wanted to use. They also owe me $3.50 from not taking off 3 of my coupons. 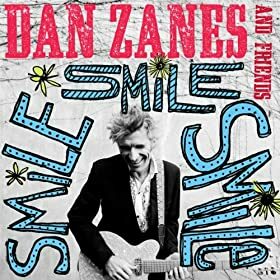 On Amazon.com there are 7 FREE Dan Zane Songs for your kiddos. Just click the title and it will take you there. 1 Smart Source & 1 Red Plum - Of course it can vary from region to region. I really hate running around but i have to a lot this week because sons b-day comming up. Anyhow i wasted an hours time and money there tonight. There doubles are horrible. They are way over priced on items vs the deals i can get elslewhere. Here is an example Pringles can chips $1.99 x2= $3.98 -$1/2 = $1.98 Walgreens clearance Pringles $.99x2=$1.98 -$1/2 =$.98 difference of $1. Or maybe it is just me where i am use to getting things pretty cheap or free. 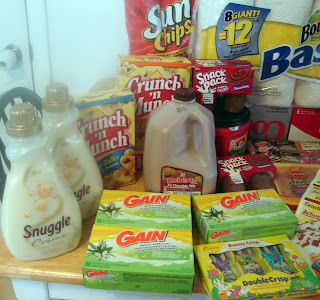 I went ahead and bought a few things anyhow. Here is what i got. Subway restaurants want to give taxpayers a reason to look forward to the typically dreaded April 15 by offering everyone who walks into a Subway on tax day a free cookie. 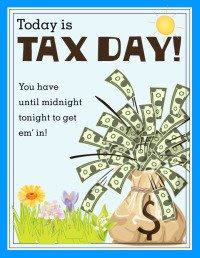 March 23, 2009 - MaggieMoo's Ice Cream & Treatery has announced that on April 15, 2009 participating Treateries nationwide will reward customers with one free single-scoop of ice cream in honor of Tax Day. Thanks to Freebies 4 Mom for this coupon. 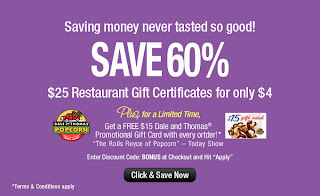 Just click the title to get your coupon. I will also have the MIR for the One A Day mix. I will get $1.49 for it. Also there is a chance that i may be able to get it on the Caremakers site for MIR not sure until i investigate it some. Plot: A family comedy about a hotel handyman whose life changes when the lavish bedtime stories he tells his niece and nephew start to magically come true. 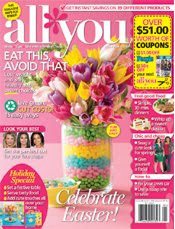 What would you say if I told you that you could purchase a two-year subscription to ALL YOU magazine for just $17.99? I mean that’s less than $0.75 an issue for a magazine that’s chock full of fantastic money-saving coupons. That’s almost 70% off the cover price! Not familiar with ALL YOU magazine? If you’re a regular reader, I’m sure you’re already familiar with the fabulous manufacturer coupons that are in every issue of ALL YOU magazine. However, if you’re not familiar with it, you’ll want to check out my all about ALL YOU magazine post for the full scoop on why this is such a steal deal. To put it briefly, ALL YOU magazine is only carried in Walmart stores at a price of $2.24 after their 10% discount. At this subscription price of 2 years for $17.99 (no tax, no shipping), you’re getting it for just $0.75 an issue! 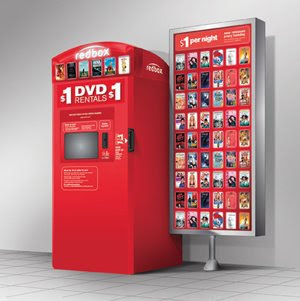 You can easily recoup the cost of this subscription with just an issue or two’s worth of coupons. How can you order your ALL YOU subscription? 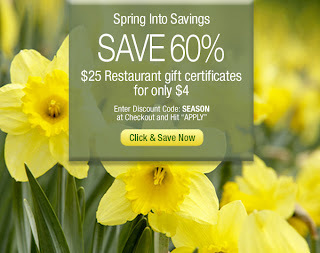 This fabulous offer has been made available through a partnership with Southern Living at HOME!. Type in Deal in the hostess first name field then click Continue. Please pay with a credit card during checkout. Do not click submit more than once as this can cause multiple charges. BJ's Warehouse Free Trial Membership Pass. Just click the link above and register to get your free pass. I don't have a BJ's but this could help you if you do. Here's the chubby bunny video of my Neice's & Nephew and daughter. I hope everyone has a wonderful day today!! Did you have a nice holiday ? I hope so. We had a nice dinner at Grandmas and had a nice Easter egg hunt. Later we played a game called Chubby Bunny. I gave a prize to the person who won. 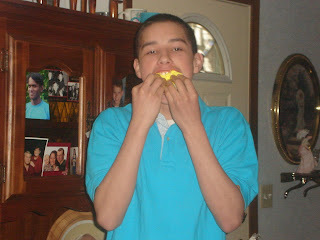 Chubby Bunny is a game you play to get as many Peeps candy in your mouth and still be able to say Chubby Bunny. I'll post a video in a minute. The video i'll load is my nephew who won. I had to back today because i forgot to get something for the Easter basket. Grrr. I also some some things marked down so i had to get them too. Good news is i saw my 2 favorite cashiers today. Don & i believe Mindy ? Sorry if it is Mandy istead. I have horrible time remembering names. Don was so nice he gave me a hug, Now how many cashiers would go out of the way to make you feel nice and have an enjoyable shopping experience ? And Mindy she saw me come in the door and talked to me. So Walmart at least did 2 things right, lol. They hired 2 people i like there. There is a horrible lady who works there can not remember her name but i gave her an enjoyable experience before, lol. Nothing to write home about tonight. All sales were a dud. I had to go there tonight because my sister called and wanted me to pick up my sons b-day gift. So i thought it would have been a good time to pick up my Free bread, nope eveyrone else already did, lol. Went shopping to 2 stores this week. Bakers & Walmart. I price matched almost everything at Walmart unless it is noted. I have not matched coupons up yet but will do so before too long. General Mills Cereals 3/$8 and get Free gal milk , combine w/ cereal coupons makes an awesome deal. I just received my reward for participating in a program for them. I would have liked to participated more but didn't get to because my pc had crashed during the time. Offer ends Monday, April 13, 2009! 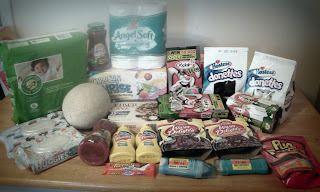 Here are the cheapies & freebies i am aware of for Walmart this month. Vitamin Water $1 -$1 off from 4/5 insert = FREE! Pringles $0.88 - $1/2 from the last PG = $0.38 per can! Ken's salad dressings are $1.78 - $2/1 coupon from the 3/8/09 = FREE + $0.22 overage! Egg Beaters, $2 -$1/1 printable =$1 after coupon! Healthy Choice Traditional Frozen Meals, $2 -$1/1 printable = $1 after coupon! -$4 off any bag of Purina printable coupon = $0.03 overage! Oil of Olay Bar soap, 2 pack is $1.97 - $2/1 coupon from 4/5 PG = FREE! No Nonsense Ultra Sheer Pantyhose 1 pr $1 -$1/1 coupon from 3/29 SS = FREE! Suave Advanced Therapy, Cocoa Butter with Shea and Aloe with Cucumber Lotion $0.97 (3 oz) - $1/1 coupon from RP 12/14 =FREE! Durex Pleasure Pack (3pc. pack) for $1.97 -$2 any Durex product coupon in 02/08 SS = FREE!! 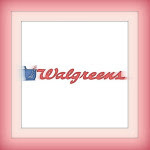 -$1/1 coupon =FREE plus $.03 overage! Sani Hands for Kids 18 count wipes for $1.00 -$1/1 coupon from 11/08 = FREE! If your interested in learning how to maximize your coupons please let me know and I will gladly add you to the guest list. We went to an Easter outing today and it ended up costing me money after all. We got hungry and they gave the kids free kids meals coupons so we had to go, lol. Children's "carrot craft" activities and photos with the Easter Bunny precede a unique egg hunt in the garden's arboretum. The café will open at 9 a.m., allowing visitors to grab coffee or breakfast before starting on all the exciting activities. An additional $3 per child is charged for photos and activities. Saturday April 4th at 11:00am sharp! 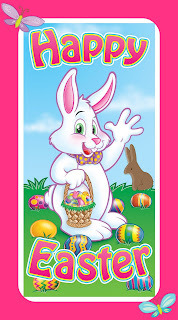 Kids 10 and under can hunt for over 10,000 eggs filled with candy from area Target Stores. Make sure to bring your Easter baskets! Some eggs will even contain slips that win you prizes like bikes and more from Target and tickets to an Omaha Royals game! Robert’s Dairy will be there with Free Icecream and other prizes. Appearances by the Easter Bunny, The Shrine Clowns, Spike and Casey from the Omaha Royals and more…. You could not pay me to go to the last one, lol. Ok, so i took my daughter last Friday to the dr.
We have no insurance so i found a coupon and used it. I wanted to post the coupon here incase anyone else may be needing it. The coupon is for Alegent Health Quick Care Center and it is for $15 off. Click the title to take you to the coupon. 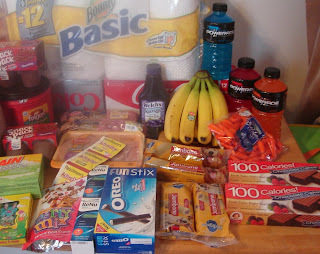 This isn't included in my budget it comes out of a different budget but my cost for that day was only $59 w/ that coupon. Cici's Pizza is giving away 1 million pennies. Each penny has a special on it. Find a penny pick it up see what you won and take it in and redeem it. I received a package from Psst. In my package i received a regular size box of Fiber One Mocha bars and 10 coupons for $1.35 off a box. Yea! I get to try them out and give my input on them. to change your plan ? will earn 60 minutes air time. like to earn money ?